A Natural Ant Killer that rids you of the ant problem without creating a bigger one. Boric acid is a natural ant control that is safer than the toxic alternatives. And It Works! Relax, there's a simple and natural solution to your ant issues that doesn't require you to don hip waders and breathing apparatus. The best way to kill ants is to use a boric acid mixture. Boric Acid is a natural substance whose level of toxicity falls between that of Table Salt and Tylenol when ingested. Not completely inert but not frighteningly toxic either. When the powder is inhaled, it presents more of an issue, particularly because of the abrasive nature of the substance. We recommend wearing a face mask when mixing the powder form to avoid inhalation. Boric Acid Powder (or Borax) works in a number of ways to eradicate ants from your living and garden spaces. First, the abrasive boric acid crystals compromise the exoskeleton of the ant. Second, it affects the metabolism of the pest by acting as a stomach poison. And thirdly, the dessicating properties of the boric acid slowly dehydrate the innards of the pests. 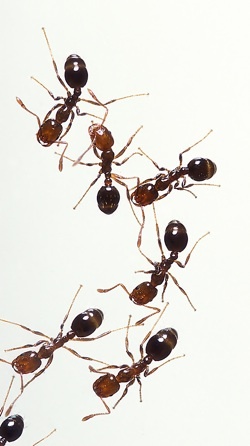 In order to get the best results from Boric Acid as a natural ant killer, there are some things you need to know about ant behavior. Ants are colony dwellers and although there may be millions of ants in any given colony, they can be thought of as a single entity. Each ant is assigned specific tasks according to his station in life to keep the colony healthy and thriving. The Queen is the nucleus of the entity and the only fertile female, the males do little until fetilization is required and the worker ants are composed of sterile females whose jobs are divided up into necessary tasks like, foraging, cleaning and feeding. The foragers seek sources of food and water and bring them back to the nest for the Queen and the rest of the colony. Once a source is located the ants will leave a pheromone scent trail back to the food source that any worker ant can follow... and the procession begins. When using boric acid, encourage the ants to take as much of the substance to the nest as possible. 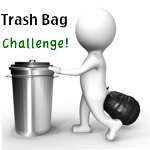 Avoid killing the ants, wiping away the scent trail or making barricades with powders or other discouragers. You want the ants to mark a clear trail for their nestmates to follow. For at least a week, when offering the boric solution, clear the way and let the ants do the job for you. If you've identified the source of food or water that they're attracted to, replace it with the boric acid solution. Another consideration is the strength of the natural ant killer solution. You want it to be strong enough to kill the colony but not so strong that the ants don't like it. We use a half and half ratio. 1 part liquid honey or syrup, and 1 part boric acid crystals (or borax) mixed together well. Heating the ingredients in a pot on the stove helps the mixture to dissolve. Place a tablespoon of the liquid on a small plate or shallow dish and set the plate in an area where you've seen the ants foraging. 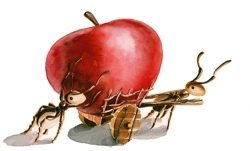 Visitors to our Natural Ant Killer page may also be interested in the following pages.